What happens when women with asthma get pregnant? Does their asthma get better or worse? 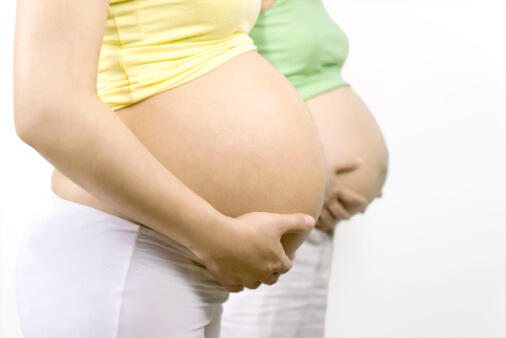 Should they use more asthma medicines when pregnant? Or less? How does the asthma itself affect their babies? The current state of evidence appears in the January 2005 Journal of Allergy and Clinical Immunology. Asthma is more common in pregnant women than previously thought, affecting up to 1 in 12 pregnant women – and the number is rising. Careful study suggests that during pregnancy asthma improves significantly in about 23 percent of women, stays the same in about 47 percent and gets worse in about 30 percent. Most pregnant women appear to be under treated for their asthma, partly because of legitimate concerns about medication use during pregnancy. But untreated asthma is associated with a higher rate of problems for the baby than is asthma that is treated with the right medications. A number of studies have shown that, used correctly, the short-acting inhaler albuterol and inhaled steroids, especially budesonide (Pulmicort), can be safe and effective during pregnancy. There is not enough data yet to be sure about other inhaled steroids and other long-acting inhalers. Oral steroids are better to avoid, if possible. These findings have all been taken into account in the new evidence-based guidelines for managing asthma during pregnancy published in this issue of the journal. If you have asthma during pregnancy you may want to review the latest guidelines with your doctor.